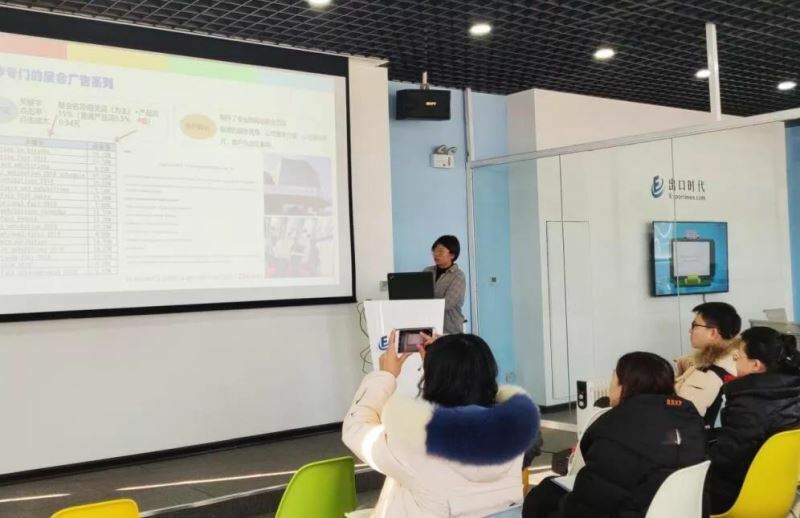 In order to promote enterprises to master the overseas Internet marketing practice and operation skills, improve the level of international market development, and accelerate the construction and development of Shenyang cross-border e-commerce comprehensive test area, on January 17, 2019, Liaoning Province's foreign trade comprehensive service platform, Google excellent cooperation Partner - Exportimes successfully held the "Operational Practice of Overseas Marketing" training session at the Google Ocean Experience Center (Shenyang). At the training meeting, the senior Google Ads account operation optimizer of the exportimes started from a number of practical case studies, and explained in detail how to set and effectively optimize the Google account based on data changes, existing problems, real needs, customer feedback and other factors. 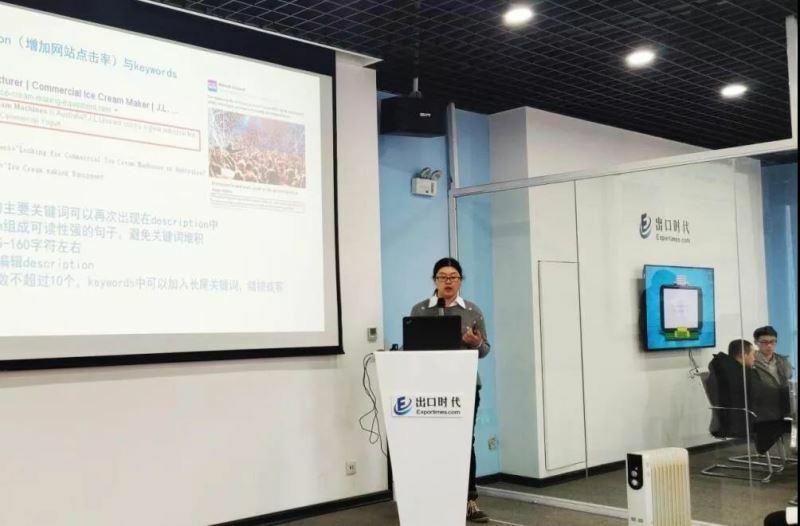 At the same time, the overseas promotion consultants deeply analyzed the importance of keyword selection based on the theme of product keyword strategy and layout, and through examples, let enterprises know and master the methods and application skills of keyword selection. This course has aroused great interest from companies. After the training, many companies have further communicated and communicated with Google Ads optimizer and overseas promotion consultants on issues related to Google promotion and Internet marketing. As the world's leading digital marketing method, Google Ads can provide comprehensive solutions for corporate promotion strategy development. It can effectively help enterprises by using Google's big data analysis technology, potential customer positioning technology, market data insight and demographic analysis. Tap potential customers to achieve continued growth in export business. The Google Sea Experience Center operated in Shenyang in the exportimes is the largest experience center in Northeast China. It has been identified as the cross-border e-commerce training base in Shenyang (granted by Shenyang Foreign Trade and Economic Cooperation Bureau) and the cross-border e-commerce training base in Liaoning Province (Liaoning). The Provincial Department of Commerce awarded) to help more foreign trade enterprises master the e-commerce application skills and comprehensively improve the overall level of overseas marketing in Shenyang and Liaoning.